Jeff & Will remind everyone about the Autism Awareness Auction currently happening through the end of the month. They also discuss their April 21 and 22 appearances at the LA Times Festival of Books. 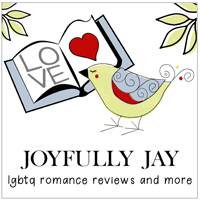 Will reads a special letter to listeners regarding diversity in the gay romance genre. Will reviews Bearly Legal by Kiki Burrelli. Jeff talks about the recent audiobook release of City Boy by A.E. Wasp and narrated by Michael Pauley.